Storming story action starring Ben 10, the hottest action hero in town! This double-duty book has twice the battling fun, with a pair of gripping stories to make your heart pound. See what happens when Ben helps his grandfather to fight an evil double-crossing sidekick – and when he gets busy kicking down more enemy fiends! Including cool picture shots, this book is busting with slamming hero tricks and morphing alien fun! I think the cartoons are more interesting. 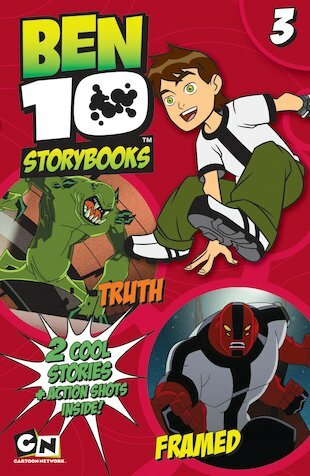 i want to read this book because i want to be like Ben 10 and Spider monk and i want the wach that Ben 10 has with all the cool stuff with it to and i don’t want to be Gwen and other gils in Ben 10 .